ASUS aims to break display boundaries with the introduction of its new gaming monitors. The new ASUS gaming monitors comes with defining specs that targets new-generation gamers and creators. These displays offer faster monitor speeds and larger screens, align with innovative display features. These features include: 0.5ms, HDR, FreeSync 2, and IPS displays with high refresh rates. The VG258QR comes with 1920 x 1080 resolution, 165HZ refresh rate, 100% sRGB, and 05ms response time. 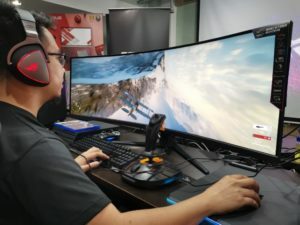 This 24.5-inch wide screen monitor has Radeon FreeSync that eliminates screen tearing and Extreme Low Motion Blur (ELMB) that minimizes blurring in fats-apced games. There’s also ASUS MOBA, which highlights health bars’ color on certain games. Like the VG258QR, the 27-inch VG278QR features 1920 x 1080 resolution, 165Hz refresh rate, 100% sRGB, and 05ms response time. 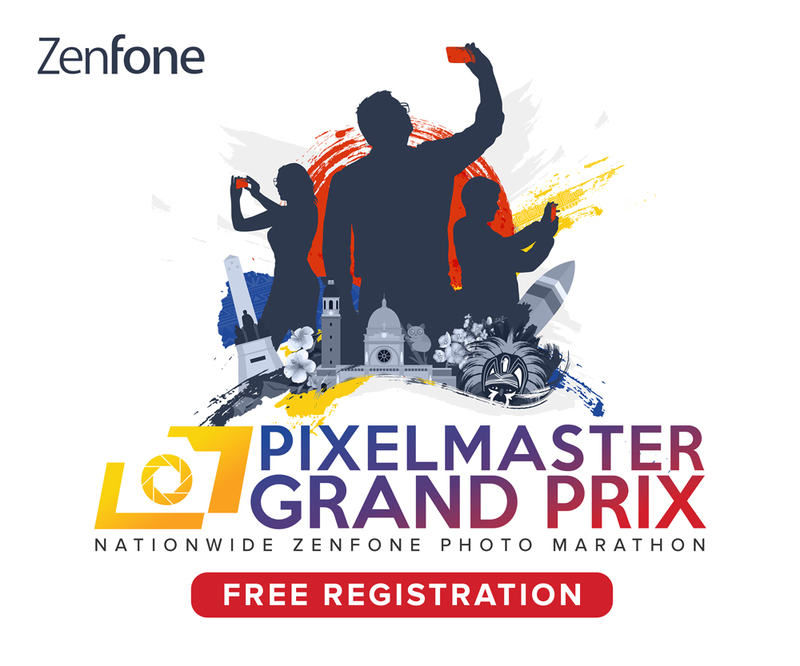 It also comes with the following features: Radeon FreeSync for eliminating screen tearing; ELMB for minimized blurring during fast-paced games; and ASUS MOBA that highlights health bars on certain MOBA games. The unique feature on the VG279Q is its 1920 x 1080 resolution, fast 144Hx refresh rate, and 27-inch IPS display. 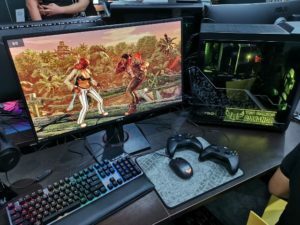 This gaming monitor also boasts game-enhancing technologies such as the Radeon FreeSync, which eliminates screen tearing. There’s also ELMB and ASUS MOBA, like in the VG258QR and VG278QR monitors. The VG279Q aldo comes with 100% sRGB and 1ms response time. Headlining the large monitor segment is the ROG Strix XG32VQR with 31.5-inch wide screen. This display incorporates DisplayHDR 400, 2560 x 1440 resolution, and 144Hz refresh rate. The screen also boasts 93% DCI-P3, 125% sRGB, and 4ms response time. The ROG Strix monitor also has FreeSync 2 HDR, which is AMD’s latest adaptive sync technology. Together, these features deliver rich in-game colors, wide black and white tones, and screen tear-free games. 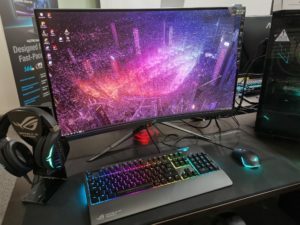 ASUS’ first Dual Full HD (DFHD) LCD monitor, the 49-inch super ultra-wide ROG Strix XG49VQ, caps the list. This gaming display boasts 3840 x 1080 resolution at 144Hz, allowing up to 3 device simultaneously plugged in and displayed. The ROG Strix XG49VQ also features a panel with 90% DCI-P3, 125% sRGB, DisplayHDR 400, and 4ms response time. It comes equipped with FreeSync 2 HDR to eliminate tears on fast-paced games.